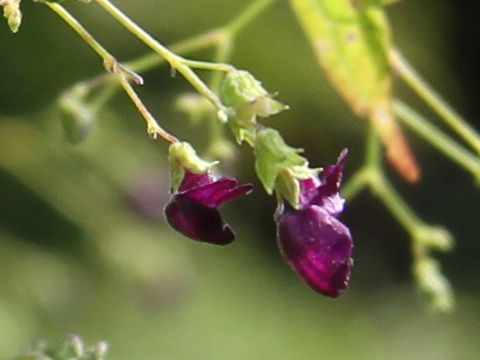 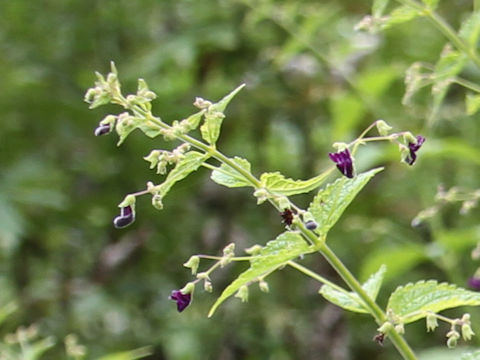 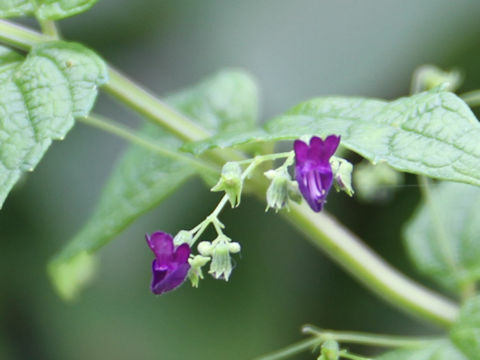 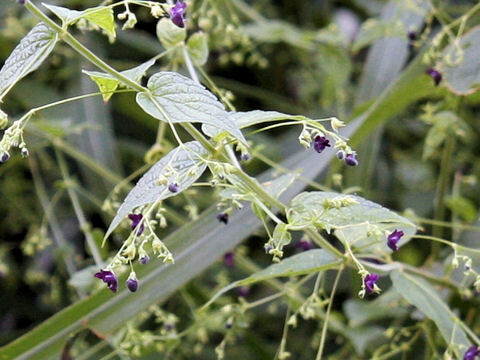 "Kurobana-hikiokoshi" (Rabdosia trichocarpus) belongs to the Lamiaceae (the Mint family). 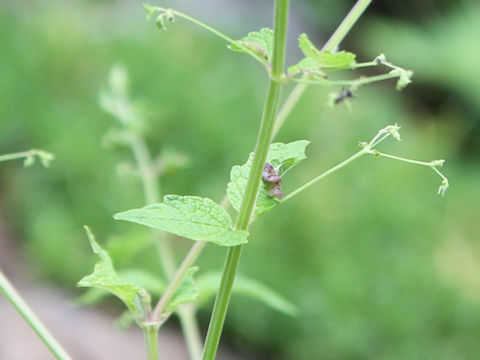 It is a perennial herb that is distributed from Hakkaido south to the Japan Sea side of Honshu. 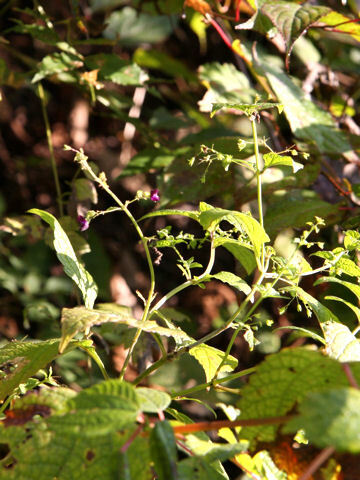 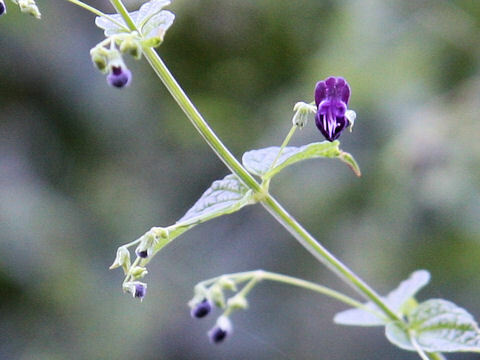 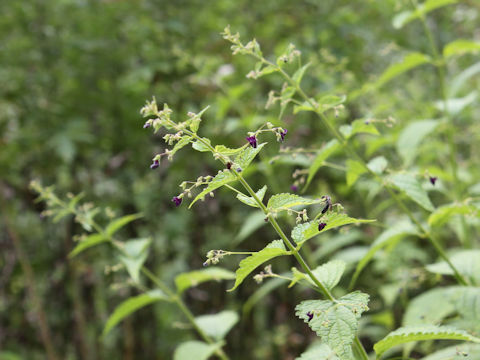 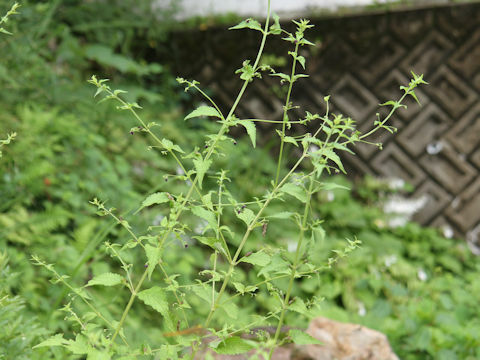 This herb grows in the mountains and can reach 50-100 cm in height. 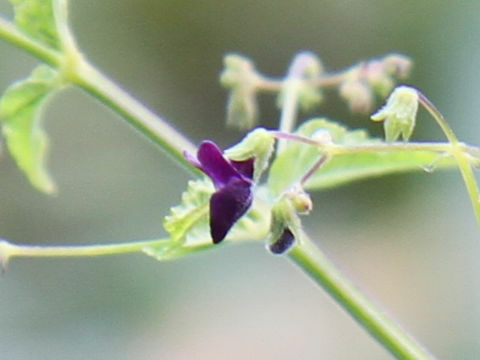 The stems are quadrangular and the broad ovate leaves are opposite. 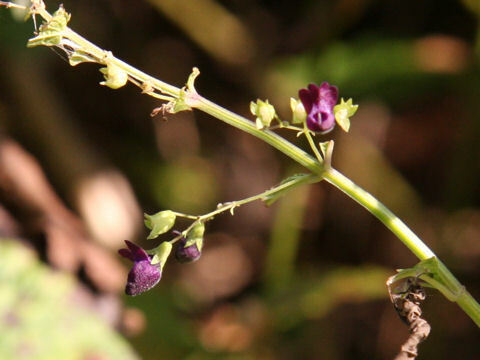 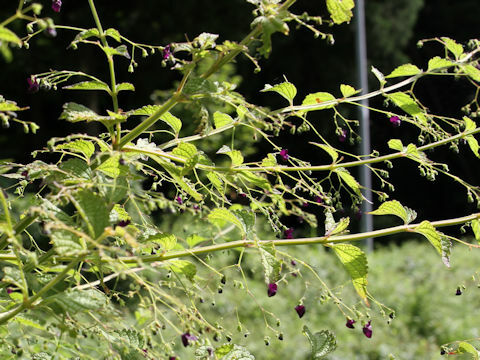 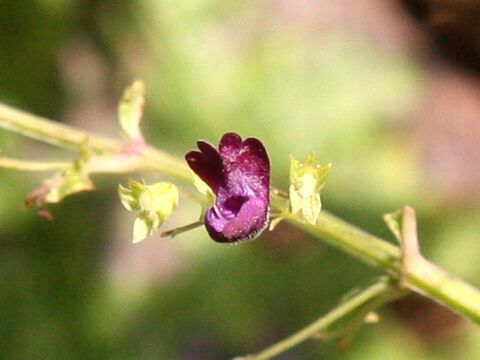 The small dark purple flowers bloom in the remotely cymes from August to September. 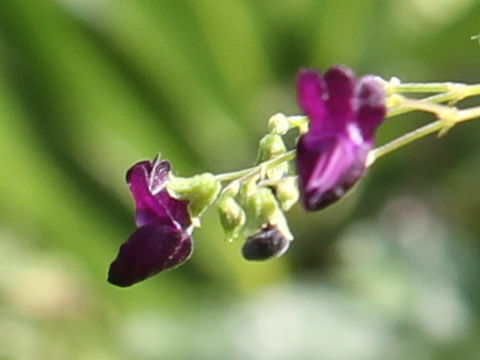 The upper lip is erect and the lower lip is boat-shaped. 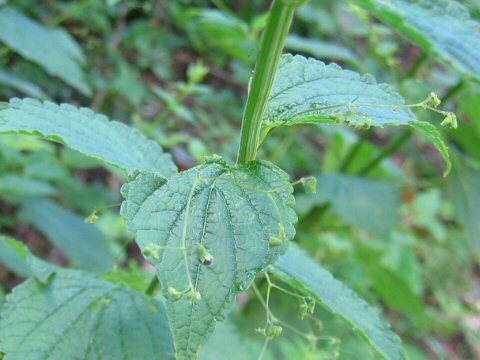 It has strong bitterness and has antitumor activity.